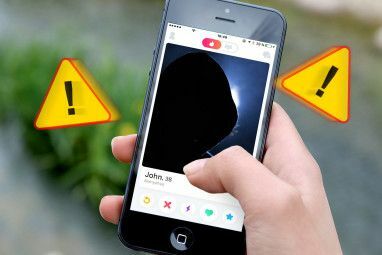 You’re trying to get into the dating scene 16 Free Dating Sites to Help You Find Love 16 Free Dating Sites to Help You Find Love Most online dating is done on apps now. But there are still many good dating websites out there. Here's a wide selection of the free online relationship websites out there. Go find love! Read More , but you just can’t find the right one. No matter who you go on a date with, they don’t click with you. Well, have you ever tried dating a programmer? No, we’re serious! Programmers make for awesome dates and life partners. 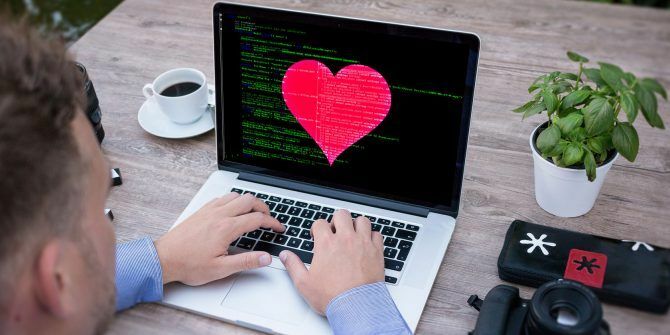 Here are 10 reasons why dating a programmer is a ton of fun. Programmers know how to think about cause and effect. If they take a certain action, then they’re likely to receive a certain output. What’s more, programming demands that you keep track of a lot, and failing to display it all cleanly 10 Tips for Writing Cleaner & Better Code 10 Tips for Writing Cleaner & Better Code Writing clean code looks easier than it actually is, but the benefits are worth it. Here's how you can start writing cleaner code today. Read More can quickly turn into a tangled mess. When writing code, programmers have to use proper indentation to display lines in an orderly fashion. Variable names must be clear so you don’t end up confusing them. And reserved/special characters in programming are always consistent. Because of this, it’s rare for a programmer to act out of character or create drama. They think before they act, and usually act consistently. We break codes, not hearts. Programmers and developers build apps To Build an Android App, You Need to Learn These 7 Programming Languages To Build an Android App, You Need to Learn These 7 Programming Languages Which programming language is right for creating Android apps? It comes down to your programming history and which languages you feel most comfortable using. Fortunately, you have options. Read More , software, websites, and more for a living. They don’t do this however they feel like — most of the time, they’re creating something for a client or their employer. And these come with strict requirements. This means that programmers build products with specific users in mind. Before you build an app, you have to know who you’re building it for. For example, if it’s for an elderly audience 8 Assistive Technology Devices for Seniors Living at Home 8 Assistive Technology Devices for Seniors Living at Home If used correctly, these smart home devices can help older adults live at home safely for longer and perform tasks they may otherwise have difficulty completing. Read More , it should use simple visuals and avoid confusing menus. Regularly working with other people in mind means that most programmers have an above-average level of empathy. What this means for you is that your programmer date will understand your little quirks and preferences. Just like a customer might want an app to incorporate a specific design, you might wish for a certain behavior from your date at times. They won’t toss off your unique needs as stupid — they know everyone has their own requirements. And they’ll act carefully when making a decision that could affect you. When you’re dating someone, you hopefully have at least a small thought of a future with them. And few people want to date someone who is unemployed or regularly out of work. Chances are, when you’re seeing a programmer, they won’t have any trouble in this area If You Have These Skills, No Robot Will Ever Take Your Job If You Have These Skills, No Robot Will Ever Take Your Job Losing your job to robots is no longer a sci-fi fantasy. Here are eight skills that can keep your job from being handed off to a robot. Read More . Programming jobs are in demand across most industries, and knowing how to code is a massively valuable skill in today’s world. Chances are if your date has a good programming position, they’ll keep it for some time. And if times get tough and they’re laid off, they can easily transfer their skills to a new company. Plus, a date who makes good money means that they’re in a better position for treating you to luxurious gifts and dates. This is far from the most important aspect of dating someone, of course, but it’s a nice bonus. In programming, garbage collection refers to cleaning up the memory used by a program when it’s no longer needed. Computers have a limited amount of memory, so it’s important to return unused memory to the heap, a pool waiting for use. Without this, sloppy programming could lead to unoptimized code and memory leaks (which are a big problem) How to Troubleshoot Low RAM or Memory Leaks in Windows How to Troubleshoot Low RAM or Memory Leaks in Windows Do you have 4 or more GB of RAM and does your computer still feel sluggish? You may suffer from a memory leak or shortage. We show you how to troubleshoot all your Windows (10)... Read More . Thus, it’s no surprise that programmers know how to clean up after themselves. Garbage collection translates to cleaning their dishes, taking out the trash, not leaving clothes on the floor, and more. You usually won’t find programmers who are massive slobs because they know what problems messiness leads to. When you’re seeing a programmer, chances are you won’t ever have to reach out to that family member to look at your computer again. Programmers understand modern technology exceptionally well, and are used to debugging complex programs that normally take other people hours to fix. Getting your printer to work How to Set Up Your Printer in Windows 10 How to Set Up Your Printer in Windows 10 Printers have a reputation for being difficult to set up. In Windows 10, however, it's actually a breeze. We'll show you how you can get Windows 10 to detect and connect to your printer. Read More or helping you use your smartphone effectively 13 Android Tips & Tricks You Probably Didn't Know About 13 Android Tips & Tricks You Probably Didn't Know About Come with us as we dive into the Android operating system and explore some cool hidden features. Read More is a minor feat for a programmer. Another pillar of good coding is clear communication. This is often accomplished by programmers leaving comments in their code. To sum up the operation of a function or explain a potentially confusing block of code, you can use a comment to add more info. But it’s unnecessary to add a comment about obvious functions. Translating this to romance, programmers are great at communication. They’re happy to talk about life’s important matters. But they won’t bog you down with every little detail about their day. Once built, software often far outlives its expected lifetime 5 Legacy Windows Features Microsoft Can't Retire Yet 5 Legacy Windows Features Microsoft Can't Retire Yet Microsoft has removed many older features from Windows over time. But these legacy features aren't going away anytime soon. Read More . Because of this, nearly all programmers have to deal with compatibility issues at some time. Whether that’s making sure a website looks decent in internet Explorer 8, or testing their Android app on an ancient version, programmers know that compatibility can be a challenge. But this makes them better partners. They don’t have unrealistic expectations and think that you’ll see everything eye-to-eye. With your date’s knowledge of software comes the insight that the most important aspect of compatibility is what’s inside. 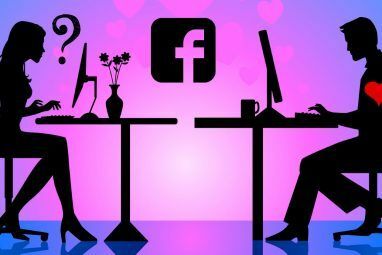 After all, programmers developed the algorithms that help online dating sites find your perfect match How Online Dating Uses Data to Find Your Perfect Match How Online Dating Uses Data to Find Your Perfect Match Online dating is a thriving industry. The advent of powerful computers and Big Data analytics means matches are more accurate than ever. But how exactly do they create the perfect match? Read More . One rule that new programmers quickly learn is to KISS. That doesn’t mean they lock lips with their computer monitors, though. KISS stands for Keep it simple, stupid! If you can reduce ten lines of code to five, do it. Don’t try to cram three different routines into a single function. Use a standard indentation and spacing scheme for simple readability. Though they might only speak one verbal language, most programmers are fluent in several programming languages. Web developers have to know Programming vs. Web Development: What's the Difference? Programming vs. Web Development: What's the Difference? You might think application programmers and web developers do the same job, but that's far from the truth. Here are the key differences between programmers and web developers. Read More multiple markup and programming languages to build the best websites. Building mobile apps requires a multitude of languages The Best Languages for Mobile App Development in 2016 The Best Languages for Mobile App Development in 2016 The world of mobile app development is still going as strong as ever. If you want to get started, it's not too late! Here are the languages you should think about learning. Read More as well. Programmers must be quick learners and pick up new languages, while still remembering those they’ve learned in the past. Plus, with the exception of a few (like C Why C Programming Is Still Worth Learning Why C Programming Is Still Worth Learning C is not a dead language. In fact, IEEE Spectrum magazine ranked it as the No. 2 top language in 2017. Here are five reasons why. Read More ), modern programming languages regularly evolve in some way. This means keeping up with current standards is vital. It’s no surprise that this gives programmers the ability to figure out and speak your love language with relative ease. Whether you respond most to quality time, a special gift, or glowing words, they’ll do their best to communicate affection in a way that’s important to you. And who knows? Maybe they can even help you learn a beginner’s programming language 6 Easiest Programming Languages to Learn for Beginners 6 Easiest Programming Languages to Learn for Beginners Learning to program is about finding the right language just as much as it's about the edification process. Here are the top six easiest programming languages for beginners. Read More . Loops are another vital programming basic. They allow programmers to specify a set of conditions, and continuously run the code inside the loop until the conditions are no longer true. Do-while loops, for instance How Do-While Loops Work in Computer Programming How Do-While Loops Work in Computer Programming Loops are one of the first control types you'll learn in programming. You probably know about while and for loops, but what does a do-while loop accomplish? Read More , run the code inside at least once and then check if a condition is true before running it again. You won’t find any shortcuts with these — programmers finish what they start. Once they start a chore, or working on something for you, they know the conditions and won’t stop until they’re fulfilled. There’s no early quitting for developers. Programmers spend a lot of time writing code, but just as much time (if not more) fixing code. Programmers can spend hours upon hours debugging their software and searching for little errors that throw everything off. This can be an extremely frustrating part of development, but you can be sure that your date is a patient person because of it. Think about it: if you’re dating a programmer, they’ve probably searched through hundreds of lines of code for a missing semicolon. That kind of dedication means that they’re more patient than most 6 Signs That You Are Not Meant to Be a Programmer 6 Signs That You Are Not Meant to Be a Programmer Not everyone is cut out to be a programmer. If you aren't completely sure that you're meant to be a programmer, here are some signs that may point you in the right direction. Read More . Waiting a few extra minutes for you to get ready won’t be any problem compared to hunting for one missing character in a sea of code. 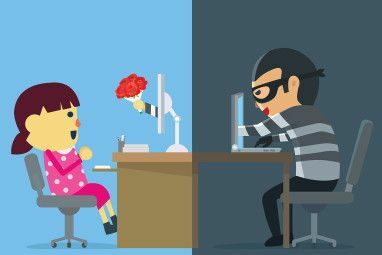 Convinced that programmers make awesome dates yet? The skills they’ve mastered and use every day translate well to their social skills. Logical thinking, empathy, and efficient learning are all valuable in a relationship. It’s hard to find another profession with all these attributes in one place. And if you work in an artistic field Is Art School Necessary for a Career in Graphic Design? Is Art School Necessary for a Career in Graphic Design? If you want to pursue a career in digital arts or graphic design, is it worth getting a degree? Can you get by without one? What exactly does the degree do for you, anyway? Read More , a programmer could be your perfect match. If you’ve ever dated a programmer, tell us your stories in the comments. Programmers, what other attributes do you think make you a perfect partner? Explain down in the comments! I started dating programmer for a first time few weeks ago and It really drives me crazy, because he es so much obsessed with his work , we see each other or weekends only and last weekend he voluntarily decided to spent for work too. It’s really big challenge for me to make it work. My man is a programmer and I'd kill and die for him. How much of this is tongue-in-cheek? Check the syntax and semantics of statements involving Boolean expressions. if (MakeSarcasticRemark == true) … are you a programmer? I’m dating one man, and he’s just perfect. He’s a programmer and he includes all stuff I’ve always wanted to see in my man. Actually most of written in this article matches so now I’m confused whether he’s such cuz of his job or cuz of himself. Love him z way he is. You need to add a Cons section to make this unbiased. We (programmers) fix bugs, even other people's bugs. Most people don't like it when you try to fix them or their habits. My wife puts up with me trying to do this, sometimes she just wants to complain about her weight rather than get help loosing it. Many of us enjoy debate and logical arguments, our others may not appreciate when we play devil's advocate and point out there fallacies when arguing over stupid things. People can attribute the best or worst of others based on only a few examples and stereotypes. You should be wary of any opinion about types of people, including the following. Programmers pride themselves on thinking things through. The people who deal with clarifying and understanding specifications sometimes think that they can walk into any situation and solve it without fully understanding the problem or who is impacted by it because they feel confident in solving problems. The industry demands that they show confidence in being able to solve any problem. Just take a look at any of the puzzle-based interview problems that they've had to face not so long ago. "How would you relocate Mt. Fuji? ", indeed. People also tend to think of the problems that have the greatest impact on themselves first, and you shouldn't expect programmers to be any different until they realize that your problem is also their problem. Programmers also love abusing highly abbreviated and less readable syntax. Regex, Perl, and combining address-of and value-of pointer syntax because it was convenient to do so are just some examples. They leave out comments in their code even though their favorite software editing program is displaying all sorts of visual prompts to fill it out, even offering to do it for you! SInce programmers are often trying to optimize everything, there's a chance that they've already considered the problems you are facing and have written them off as inefficient or, "stupid". Internal tools written by developers for other developers tend to be worse. Some of those tools see a public release without getting polished up first. There's still a lot of niche tech jobs or tech jobs working with very specific technologies that can go away tomorrow in this ever changing field. Today's programmer living in well paid comfort can easily become tomorrow's obsolete has-been that can't convince keyword focused HR types that specific technologies and implementations matters less than experience in understanding concepts and designing logic. Programmers tend to change jobs or positions every few years, either pursuing knowledge to remain employable or looking for the next great project high to get excited about before getting burned out and looking for the next great project high. 4. Cleaning up after themselves? I find it ironic that this article cites garbage collection in C#, a managed code language that cleans up after you for you. C# is not C/C++ where you must both reserve memory and then remember to free it up again before program execution exits. I've seen very few modest-sized C# programs purposefully invoke garbage collection. Programmers tend to put in over 40 hours a week. They take their coding problems home with them. They're thinking out data structures and logic in the shower, during meals, and in the quiet hours while going to sleep. They can be called upon outside of work hours to fix their errors at 2 AM, especially where production infrastructure is concerned. This may result in a lot of other things around the house only getting cleaned up or maintained periodically. 5. Great at explaining and fixing? Explaining? No one wants to hear it. Many programmers, unlike many other jobs, love what they do, and they want to share that joy with others who start looking for the nearest most convenient exit. They may find themselves explaining everything to everyone as a courtesy and being hated for it. Fixing? Fixing is great. Problems get fixed. Some things can't be fixed, and there are times when you want someone to talk to and just listen instead of someone who will try to offer up suggestions on how to fix either yourself or your problems. Deadlines, deadlines, deadlines. Programmers get rated on being feature complete by deadlines (even if it requires an unknown amount of time researching how to implement the desired feature). This pressure discourages over-engineering, and coding for possible future requirements, compatibility, or accommodating different ways of invoking that logic. It's only a requirement if it's a specified requirement, and not all programmers are developing web applications. 9. Finish what they start? Ha. Ha ha ha. Ha ha ha ha ha ha ha ha. Where's points 7-8 of my rebuttal? Those features got cut so I could finally ship this and move on! Lovely! and accurate. Don't forget that a little OCD really helps if you're a programmer - but in relationships, not so much. One of the things I really like about computers and programming is that when you code something (at least in simple systems), it always does the same thing and you can refine and extend it. This does not work with people! Just ordering a meal with dietary restrictions can be quite challenging because not everyone listens closely or cares enough, but they almost always tell you that they do. Today, I was on a support line and verified that they had my current call-back number. They still called me back on the wrong number. Sometimes, I like machines a lot more than people and that's a problem in relationships. I dated a male programmer when I first got to college, before I realized I was gay or good at math. He was frustrating enough that I realized if he could study computer science, so could I. 20 years later, I'm still a developer, so I owe him for that bit of inspiration he unknowingly gave me. Yeah, let's tell more people that it's ok to ask a friend or relative who is a programmer to fix your laptop, phone, printer, TV or what else because that's what programmers do. Ain't this list the truth. My husband is an excellent programmer and an excellent partner. I find this list to be true! Cute but really not true. As a programmer all of these things make relating to one another more difficult. Also, it's a pretty hard sell to put empathy and cold logic in the same list. They're direct opposites. 01: You think logically yourself and would like someone similar. 10: You met a programmer and liked their personality before realizing their profession. Cold logic is a term for logic that fails to consider human factors such as culture, language, social dynamics, personality and emotion. 1. cold logic & empathy are NOT mutually exclusive - a person can gave both for different people/situations (people are complex beings - though maybe not all of them). 2. programmers ALWAYS have to (or at least should) take into consideration different factors related to the client they're building the app for (also stated in the article) - like "where will this app be used? ", "should it support multiple languages? ", "does the app contain offensive things for the culture where the app will be deployed? ", etc. "Cold logic is a term for logic that fails to consider human factors"
A minor correction to that sentence "Cold logic is a term for logic that DOES NOT consider human factors". You recognize the human factors but they may have little bearing on the problem or solution. The first thing programmers have to do is distinguish between what the clients WANT and what they NEED. Not every feature that a client wants is relevant to the application or can be implemented without a major effort. No, I'm not talking about making things easier for the programmer. I'm talking about something like a minor eye candy feature adding tens of thousands of lines of code to an application and taking weeks to integrate. OTOH, many times clients overlook or consider unnecessary features that are not visible on the screen but are essential to an application and would make their lives easier in the long run; features such as field edits or database cross checks. "3. They’ll Always Have Work"
It is hoped. I was working for the government of a large county when the administration came to the conclusion that IT was not one of the "core services" the government should be involved in, not even to service its own departments.. So they outsourced the entire IT department. The only job I could get was at Y2K shop, at about half the salary. sooo...basically what I'm saying that programmers WILL NOT always have a programming job as implied by the article. If a programmer is forced to work at Mickey D's in order to pay the bills, (s)he technically has a job but cannot afford to keep their partner in luxury as stated in the article. No, I do not have a job. I am retired from the cubicle hive. There are 10 types of people, those who date programmers and those who don't ! Came expecting a binary joke and a list of two items.